Built in 1933, Japan’s First Mountain Lodge. 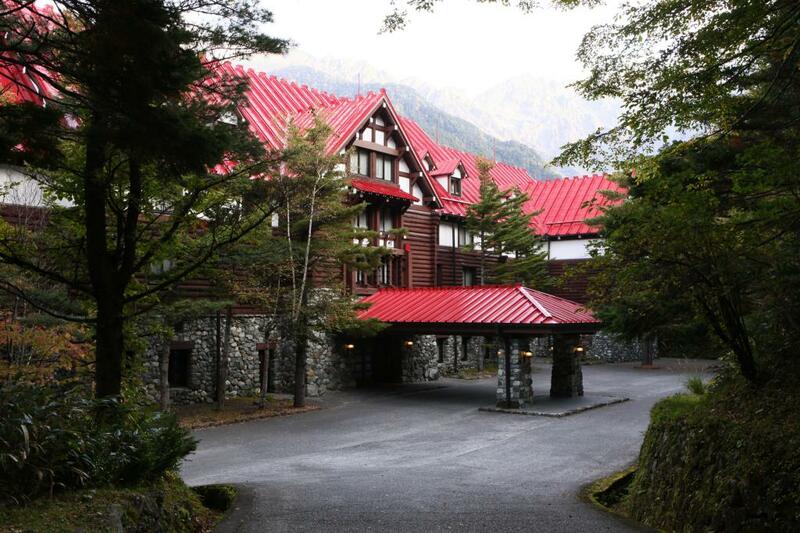 The distinctive deep red roof marks Kamikochi Valley’s landmark hotel. Boasting views of the majestic Hotaka Range from the guestrooms, the hotel features both French style and traditional Japanese kaiseki-style cooking using Nagano-grown ingredients. Noted for its grand style of hospitality complimenting the natural grandeur of the Japanese Alps. Open late Apr. to early Nov.
Winter contact tel# (03)3592-8001. Day-use guests (lunch, tea) welcome. Laundry services available for extra charge. From Matsumoto Station(JR Shinonoi Line), From Matsumoto Station, take the Matsumoto Dentetsu Train to the end, Shin-Shimashima. Change to Bus bound for Kamikochi and get off at the Kamikochi Teikoku Hotel-Mae stop (1 hour 15 min).